Today only and while supplies last, Shopko has the Unique Creation Charlotte 60″ Fireplace Set for only $299.99! (Reg. $800) This is a Black Friday doorbuster deal, so move fast. This transitional style Media fireplace will add style and beauty to any room. 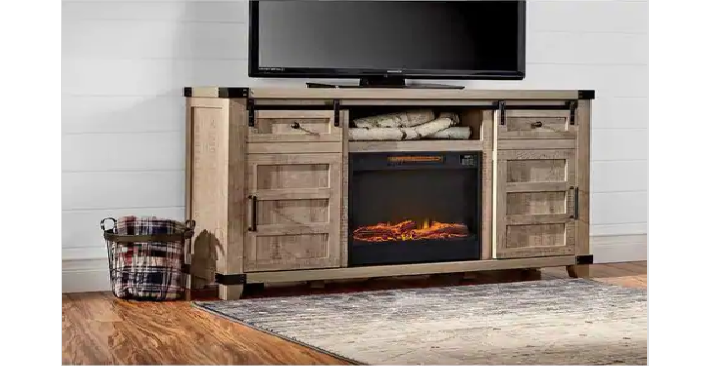 Finished in rustic gray durable melamine finish with gliding doors, this 60″ wide cabinet accommodates most TVs up to 65″. Plus, choose in-store pickup.